S.J.Budd - Come and Behold My Dark World: What's a Clause in a Sentence? In its most basic form, a clause is a group of words which contain a verb, and other components. Clauses can form a complete sentence on their own, or just form part of a sentence. The Goblin spat at the butterfly. The above clause forms a complete sentence, and is the main clause but in the sentence below the same clause forms part of a sentence. The Goblin spat at the butterfly, as it had been harassing him for some time. This is an example of a compound sentence that contains two or more clauses linked a conjunction. A subordinate clause relies on the main clause for its meaning. As it had been harassing him for some time is the subordinate clause in the sentence. Without the main clause it makes no sense on its own. A conditional clause describes something that is possible and usually begins with if or unless. The Goblin will give that butterfly a piece of his mind, unless it backs off. Unless it backs off is the conditional clause. A relative clause is connected to a main clause using the following conjunctions: which, where, when that, whom, whose or who. When the butterfly grew more aggressive, the goblin punched it on the nose. 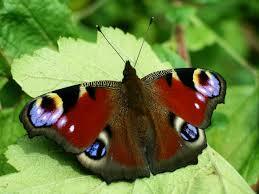 When the butterfly grew more aggressive - is the relative clause in the above sentence.